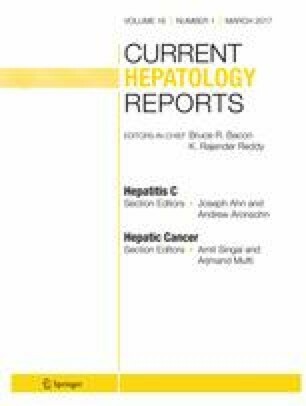 The purpose of this article is to review recent literature regarding the use of hepatitis C virus (HCV)-positive donor livers in liver transplantation. Given the prevalence of HCV-positive patients on the waitlist coupled with high waitlist mortality, use of HCV-positive livers may be a means to meet patient needs. This review seeks to primarily answer the following questions: can HCV-positive livers be used safely and effectively? Are new direct-acting antiviral medications safe and effective in HCV-positive liver recipients? Use of HCV-positive donor livers for liver transplantation in HCV-positive recipients is increasing. These donor livers have equivalent patient and graft survival when compared to HCV-negative donor livers in HCV-positive liver transplant recipients. Recent studies suggest that use of direct-acting antiviral medications in HCV-positive liver transplant recipients can be successful, although there is insufficient data for their use in recipients of HCV-positive donor livers. HCV-positive donor livers may be safely and effectively used in HCV-positive liver transplant recipients. Direct-acting antiviral medications appear safe and effective in HCV-positive liver transplant recipients, but data on their efficacy in HCV-positive donor liver transplant recipients are limited. Future research should focus on the use of HCV-positive donor livers in HCV-negative liver transplant recipients. Daniel Bushyhead and David Goldberg each declare no potential conflicts of interest. Viral hepatitis—statistics & surveillance. Center for Disease Control and Prevention. 2016. http://www.cdc.gov/hepatitis/statistics/index.htm. Accessed 11 Nov 2016. Organ Procurement and Transplantation Network—2014 data report. 2016. https://optn.transplant.hrsa.gov/. Accessed 3 June 2016. Leroy V, Dumortier J, Coilly A, Sebagh M, Fougerou-Leurent C, Radenne S, et al. Efficacy of sofosbuvir and daclatasvir in patients with fibrosing cholestatic hepatitis C after liver transplantation. Clin Gastroenterol Hepatol. 2015;13:1993–2001.e1-2. doi: 10.1016/j.cgh.2015.05.030.